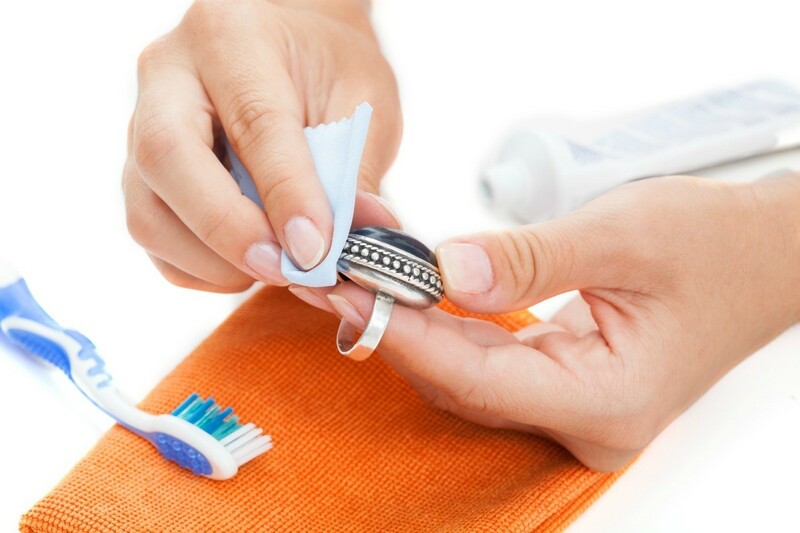 The mild abrasives in toothpaste make it an inexpensive cleaner for silver including some styles of jewelry. This is a guide about toothpaste for cleaning silver. Use toothpaste (not the gel) to clean and polish silver. Put some on a clean rag and cover the area you want to polish with toothpaste. When dry, buff with soft, clean rag. It will shine just as well as if you have used silver polish, and its so much cheaper. Another way to use toothpaste is to remove grass stains from clothes. Put some on the stained area and scrub with an old toothbrush. Rinse with water, launder as usual. Both tips work really well, they are cheap and done without a lot of work! I like to use it to clean my jewelry, I rinse it off and then buff it to a shine with a clean cotton towel; nothing like fresh breath and jewelry! We use toothpaste quite often. The real secret is to run the object under hot hot water for quite a while then to dry the surfaces with a soft cloth. It does a better job than the steamer at the jewelers, especially on diamonds. Yes, such good advice & my diamond rings looks so shining now! I knew that's why I have kept an old toothbrush to put the toothpaste on to clean my rings! The hot water rinse is a new idea for me. Thanks! Rub on toothpaste and just wash off. This works great for silver jewelry! Toothpaste isn't just for teeth, it also cleans the silver jewelry to make it shine! 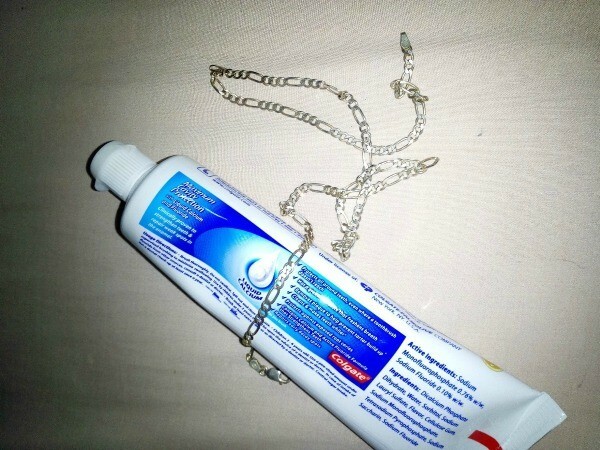 All you have to do is to put an amount of toothpaste on the jewelry, depending on how big or small the jewelry is. Spread it over. Use a brush and continue brushing it for 3 minutes. Wash it with water to see the result. That's so simple and an easy way to clean silver jewelry.